“Disruptors are bringing something unique to hair care in the way that they communicate with their customers. They identify and own their niche, the rest of the range flows directly from that. Disruptors are cutting into big brands’ profits,” said Victoria Hall, former beauty editor at Harper’s Bazaar. 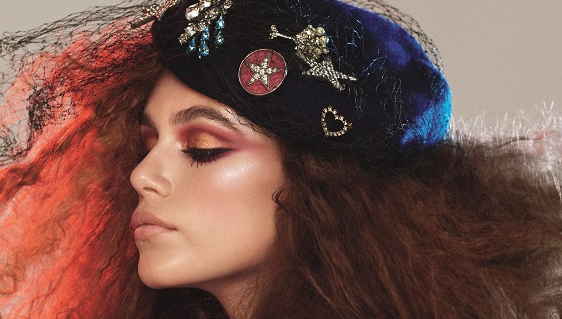 In addition to disruptor brands, the report unveils that influencers are one of the biggest trends shaking up the beauty industry, with searches increasing 55.3% year-on-year. 54% of haircare searches around influencers in 2018 were associated with Jen Atkin, celebrity hairstylist and owner of cult haircare brand Ouai. It suggests that given the need for better transparency around influencer marketing, search intelligence can dig deeper into the true authenticity of influencers for brands. There is also a shift towards more natural ingredients as consumers look to prolong the long-term health of their hair and become more conscious of their impact on the environment, according to the report. Users are 75x more likely to search for moisturising over any other attribute when searching for conditioner, compared to 17.7% of consumers searching for thickening shampoo. Despite the popular use of mobile, amongst the leading platforms which consumers are using to search for beauty products, desktop ranked the highest with 54.9% of haircare searches, followed by mobile at 36.9%, with tablets at 8.2%. The report further identifies why desktop remains the dominant device for haircare with consumers predominantly using it to research around brands and reviews of products, while searches conducted on mobile are focused on influencers and specific haircare problems. Brands must adopt a truly always-on strategy to be able to leverage each platform on the most effective days for engagement. The report finds that film and music events and seasonal changes are the driving force for consumer interest around haircare, with the Oscars 2018 sparking a dramatic 214.3% increase in searches, no doubt due to the red carpet coverage. However, despite haircare brands investing in sponsorship of popular calendar events, big moments such as London Fashion Week and festivals actually resulted in a decrease in haircare searches. The report explains that brands and consumers are routinely switching roles, with consumers becoming the driving force behind new trends and growth in the industry. FMCG brands are facing challenges of decreasing brand loyalty, growth in the direct-to-consumer market, and consumer demand for product innovation and personalisation to address individual beauty concerns. “The traditional FMCG model has changed dramatically, brands are now faced with increasing pressure as media channels evolve and consumer behaviour changes. We’re in an era where power has shifted, brands must stay relevant and fully connect with consumers through all parts of the consumer journey,” said Heather Dansie, insights director, Publicis Media UK. To navigate these complexities and create effective brand and performance marketing strategies, brands need dynamic data that can provide a multi-dimensional view of the consumer journey with a lens into consumer behaviour across the internet. For instance, on-site search data provides this view, enabling brands to not only know who their target consumers are but to establish meaningful connections. “The release of our report comes at a time when it has never been more important for brands to listen to consumers’ signals of intent in order to stay ahead of competitors, align with their audiences’ wants and needs and inform future product development,” said Dominic Joseph, co-founder and CEO of Captify. Coca-Cola Japan launched a nationwide Christmas reveal, in which a tiny pull tab on the bottle's label will neatly fold itself int..
With the country boasting a billion potential players, major companies stuffed with cash and increasingly talented developers to c..
With an eye on Asia expansion, the Japanese brewer readies for first major brand campaign in Hong Kong. ..